You are invited to participate in the Michigan Judged Trail Ride at Silver Creek County Park. A marked trail ride of approximately seven miles will contain ten obstacles for you to navigate; testing your horsemanship skills, trail safety knowledge as well as the attitude and willingness of your horse. Points will be awarded at each obstacle and the persons with the highest point totals will receive cash prizes. Lunch will be provided. Camping is available and reservations are recommended. Registration & Check-in: Friday May 19 at 6:30-7:30pm. Saturday May 20 at 8:00am. Judging 9:00 am. – 2:00 pm. All score cards must be turned in by 2:30. Awards ceremony will be at 3:30. Silver Creek County Park, 3900 - 134th Street, Hamilton MI 49419 ~ Click HERE for a map. Must be postmarked 4/30 or before for free T-Shirt. Proof of Negative Coggins REQUIRED for participation. Click HERE to get a printable flyer to mail registration. Click HERE to book a campsite. Where is it? Silver Creek County Park is located just east of M-40 at the corner of 134th Avenue and 38th Street in northeast Heath Township, Allegan County. There are two entrances to the park, one on 134th Avenue and one on 38th Street, and both are indicated with signs. We advise you go to the park’s website and print a map of the park. That will make finding your campsite much easier. Park website Directions to park Google Map. What is a judged trail ride? A judged trail ride consists of several man-made and natural obstacles on a trail where you and your horse will be judged on how well you complete the task. You may also be tested on your general equine and trail safety knowledge as part of an obstacle. What does the Entry fee include? The entry fee covers one rider’s entry fee for the ride, making him or her eligible for the end of day prizes which include cash and ribbons. We also provide lunch for that rider, and all entrants who pre-register before the deadline will receive a free T-shirt the day of the ride. Meal tickets for non-riders may be purchased for $6.00. What time does it start? Registration will begin at 8:00 a.m. All pre-registered riders will pick up their scorecards, T shirts and meal tickets. Those who have not yet registered may do so and collect their scorecard and meal tickets, but will not receive a T shirt. We will begin sending riders out at approximately 9 am. We will stagger riders to help avoid back-ups at any of the obstacles. Riders may start any time between 9 and 11am., but judging will END at 2:00 p.m. sharp, so be sure to leave yourself plenty of time to complete the ride. Score cards must be turned in by 2:30 p.m.! What are the prizes? Cash awards will go to top finishers. The overall highest total score, regardless of category, will win $100. This winner MAY NOT win a division prize. The winner of each division with 3 or more entries will receive $50. Ribbons will be awarded through 5th place in each division. Can I camp? Yes, camping is available at Silver Creek. However, there are no hook-ups and the camping fee must be paid to the park. Spots fill early so you will want to make reservations. You can make your reservations online by going to www.allegancounty.org or call (269) 673-0378. Camping fees are $12/night +$3/night/horse. If you don’t camp, arrive early. Day Passes are $5/day/horse. Season Passes are $25/year and cover all the horses in your trailer. What is the purpose of the ride? The primary goal of the ride is to raise money for trail and campsite maintenance of Silver Creek County Park. If we do not help support parks like these, we may lose them forever. Each year we plan give a portion of the proceeds to Silver Creek Park with the hope that equestrians may continue to have the opportunity to enjoy this wonderful park for many years to come! Who puts on this ride? 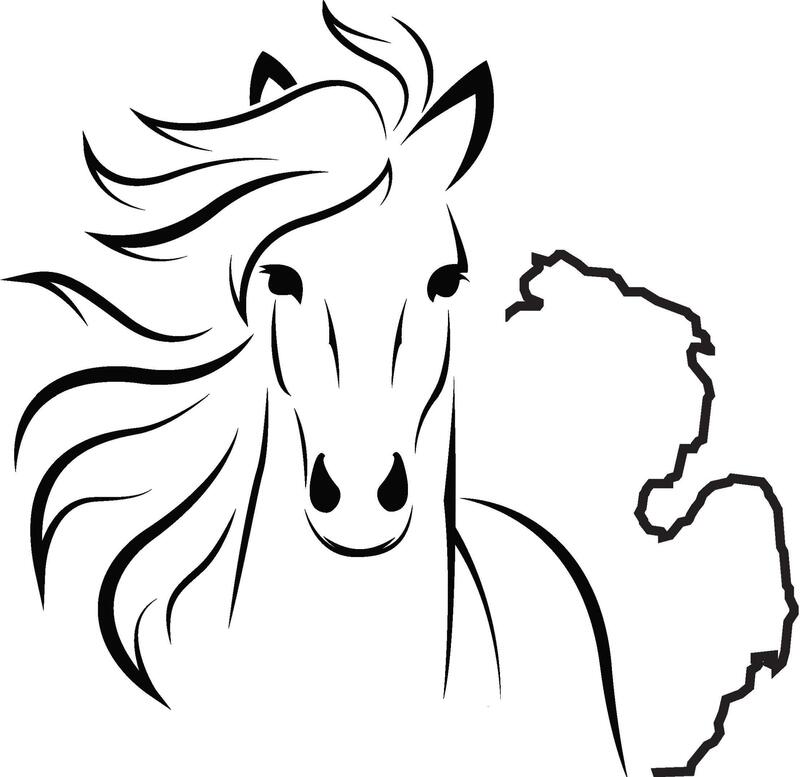 Michigan Judged Trail Ride (MJTR) is a non-profit corporation formed in 2016 by several friends who managed and organized the past several judged trail rides at Silver Creek as members of the Walking Horse Association of Michigan. Our goal is to promote the sport of obstacle competition in the trail environment by hosting this annual ride and raising the awareness of the sport across Michigan. We are not associated with any equine breed or organization. How can I help? It takes more than 50 volunteers to make this ride happen. If you are interested in developing obstacle ideas, building obstacles, judging, serving food, working the registration table, or any thing else...PLEASE contact us! We cannot offer this ride without strong volunteer support. Who are the sponsors? 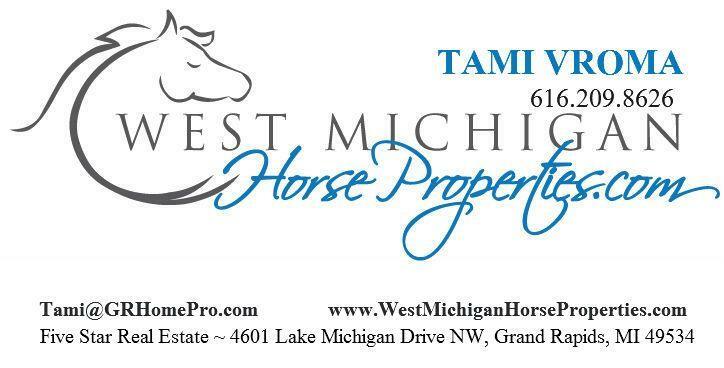 The Gold Sponsor for this ride is Tami Vroma of West Michigan Horse Properties a Five Star Real Estate Company. If you or your organization would like to help us sponsor this ride and/or the sport of judged trail riding, please contact Kristine Dipple krisdipple@outlook.com. After many successful years operating the judged trail ride under the auspices of the Walking Horse Association and now as the Michigan Judged Trail Ride it’s time for new leadership. Many of you have participated from the beginning and we truly appreciate your support. There has been a core group of seven who start planning the event in February but we need to change this to committees made up of many volunteers. What do we do? We create challenging obstacles, procure judges, gather sponsorships, receive registrations, plan a menu, order shirts and handle many other details. Please understand there are things you can do that do not require you to be present at meetings. And, there are many many things you can do and still be eligible to ride the ride. (See opportunities to help HERE) The decision will be made by the end of the year....if we have people, we will keep it going. Are you ready to be a part of a great group of horse people to keep the Michigan Judged Trail Ride alive? We will gladly answer any questions you may have as we anticipate many more JTR events!